Our shoot was inspired by the era when elegance prevailed. This shoot speaks of a timeless age. 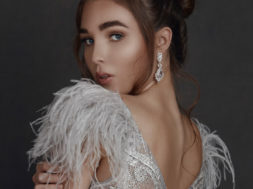 The gowns were easily the stars of the show, with dreamy lace, feathers, classic silhouettes, and impeccable beading as some of the highlights. 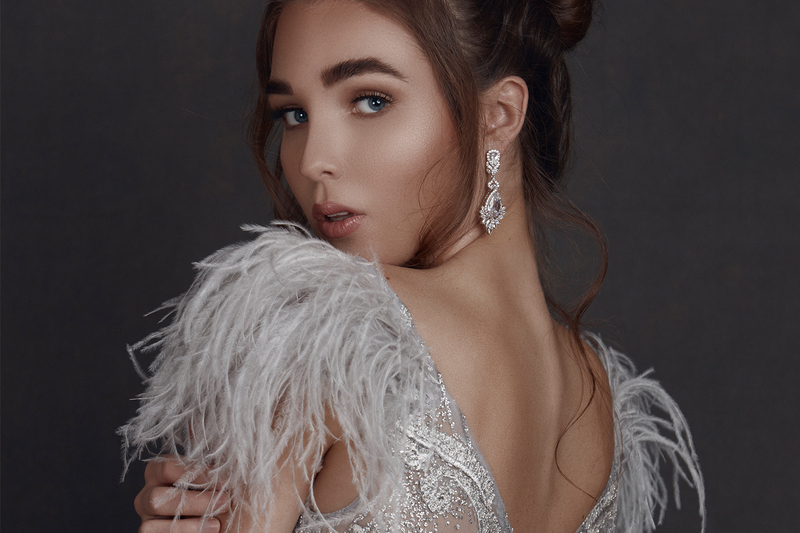 With breath-taking accessories and the perfect subtle makeup, the shoot showcased true timeless elegance. Fiton Gjonbalaj is an Albanian-born published photographer based in Brooklyn, New York. Growing up as a painter and charcoal artist since the age of 7, Fiton turned to photography as a means of expressing his creativity. This outlet for his creativity shortly became a lifelong passion. Largely influenced by the classical painters of the 17th – 18th centuries, his fine art approach to photography gives his entire body of work a characteristic painterly quality. The enduring connection to the people he photographs make every one of his images truly memorable. In his native Montenegro, Fiton was surrounded by beautiful landscapes. His daily exposure to this breathtaking scenery is a heavy influence on his work, as he photographs portraits with vast scenery surrounding his subject.